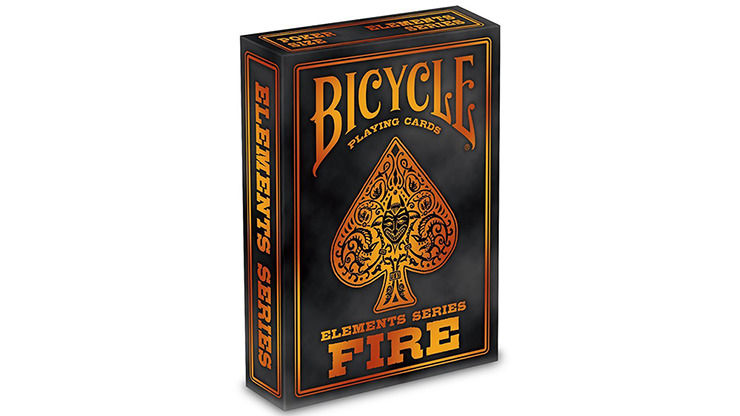 Bicycle® Fire Playing Cards is a showstopper with hues of red, orange, and black smoldering chars. 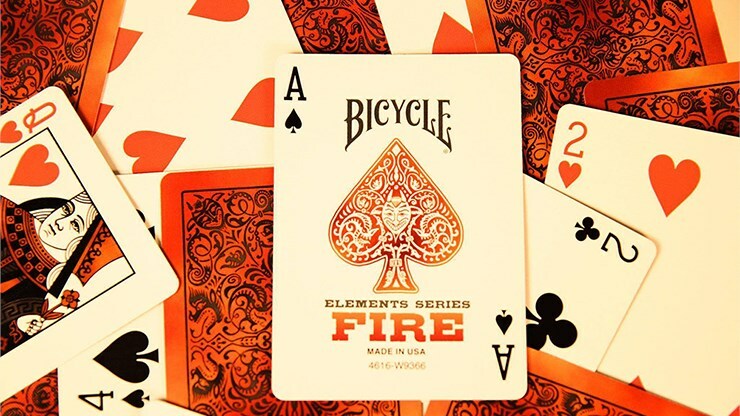 The first of the element series, Bicycle® Fire Playing Cards is a new take on the very collectible Hobgoblin card back design printed on the renowned Vanity Fair deck produced by The United States Playing Card Company in 1895. 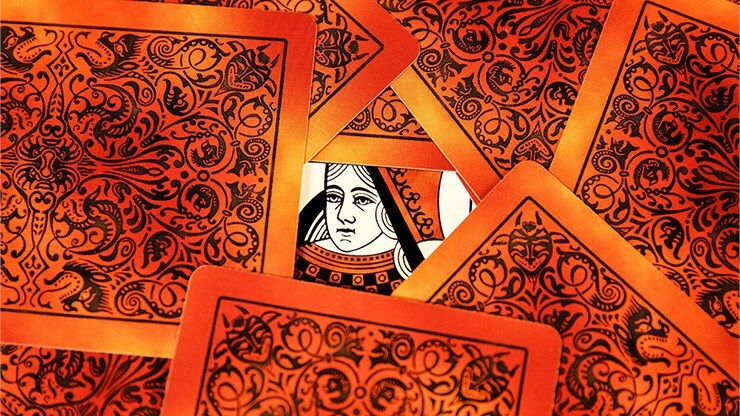 Great deck. 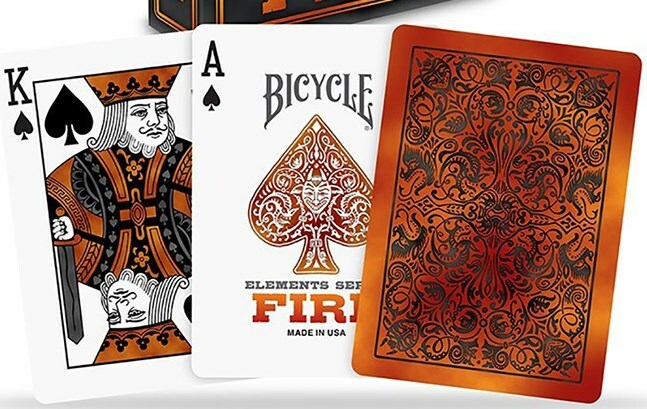 The design is very nice. 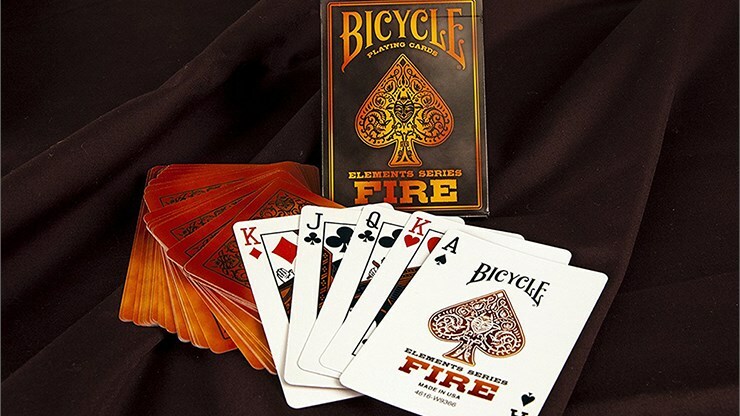 For less than five bucks, you can´t go wrong.